What is the Market Survival Guide? 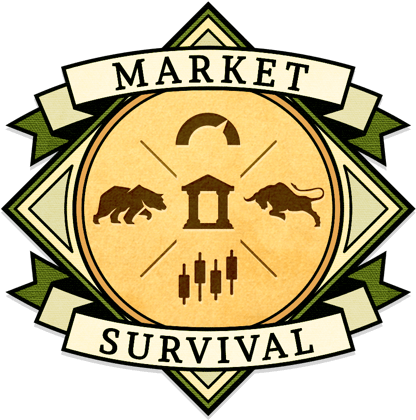 Each week, with the Market Survival Guide, you will be emailed an action plan for how to SURVIVE and THRIVE in the current market conditions. When the market is going up, you will know where to look for profitable trade ideas. When the market is tanking, you will know how to preserve wealth, avoid landmines, and also profit from shorting overvalued stocks. In addition, each newsletter is packed with bullish and bearish trade ideas with the greatest odds for success. Not only will these investment opportunities be hand-selected by Dan Russo, CMT, he will spell out his approach to finding them so you can, too! Dan Russo is a Chartered Market Technician (CMT) and Co-Chair of the NY Chapter of the CMT Association. He holds an MBA in finance with an international designation from Fordham University. He has over twenty years of experience on Wall Street and has been featured on Bloomberg, StockCharts.com, CNBC, and more. 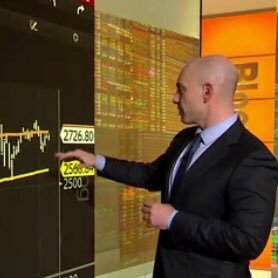 Dan is currently the Chief Market Strategist at Chaikin Analytics, where he authors investment newsletters and provides thematic trading and investment ideas for clients. Prior to joining Chaikin Analytics, Dan was an institutional sales professional at Needham and Company where he combined the firm’s fundamental analysts’ research with his own technical analysis to generate actionable trading ideas for hedge fund clients. Before joining Needham, Dan worked in an institutional sales role at Susquehanna International Group from 2007–2011. He started his trading career as a specialist and member at the New York Stock Exchange, responsible for maintaining markets in domestic equities, US-listed foreign equities, and closed-end funds. 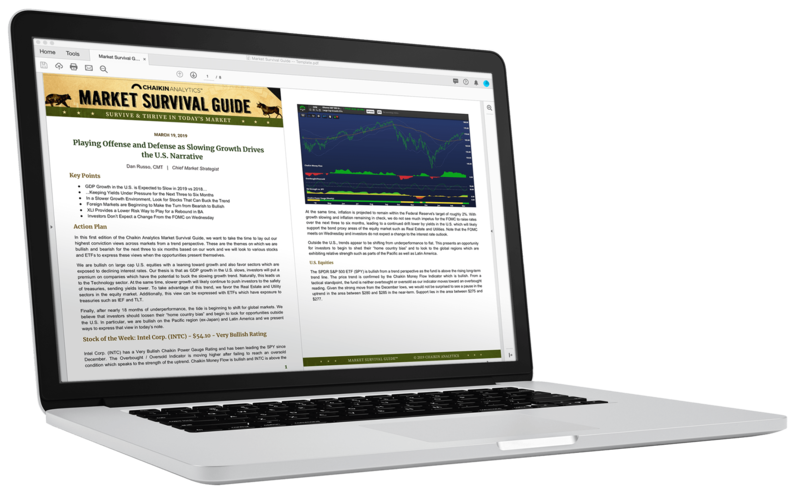 Receive a complimentary ‘Market Survival Guide’ newsletter. You will receive your complimentary newsletter on Tuesday of the following week. Each week, Dan Russo, CMT, handpicks the best bullish and bearish ideas and delivers them straight to your inbox. In each Market Survival Guide you receive, Dan provides a weekly action plan on how to approach and profit in the current market conditions. In addition, he packs each newsletter with bullish and bearish trade ideas that have the greatest odds for success. At Chaikin Analytics, we harness a disciplined investment approach that works repeatedly. We combine a time-tested model with veteran experience and insights so that you have the greatest opportunity to profit over time. With this disciplined approach, Dan is able to pinpoint ideas that are set to soar, or on the edge of a cliff, before they fall. Telltale signs alert Dan that a stock is about to surge or plunge. Rely on Dan Russo to give you the action plan you need to take advantage of every situation. What's Included with the Market Survival Guide? Intra-Week Actionable Alerts with New Opportunities to Profit! When Dan spots an immediate opportunity to capitalize on an idea or trade, he sends out a special email alert just for you as a Survival Guide member. As a member, you will be invited to join a special weekly open forum to discuss the current action plan including bullish and bearish trade ideas, and ask any questions you have, and more! Dan spends days crafting this action plan and prospecting these unique investment ideas just for you. We know you will love this newsletter, so we guarantee it. If you are not happy for any reason within the first 30 days, we will cheerfully refund you your money.